Right ventricular (RV) failure is a potentially fatal complication following heart transplantation (HTx). Inhaled nitric oxide (iNO) is a selective pulmonary vasodilator that is used to decrease pulmonary vascular resistance immediately post-HTx to reduce the risk of RV failure. The aim of this study was to describe utilization patterns, costs, and outcomes associated with post-transplant iNO use in children. All pediatric HTx recipients (2002–2016) were identified from a unique linked PHIS/SRTR dataset. Post-HTx iNO use was determined based on hospital billing data. Utilization patterns and associated costs were described. The association of iNO support with post-HTx survival was assessed using the Kaplan–Meier method and a multivariable Cox proportional hazards model was used to adjust for risk factors. A total of 2833 pediatric HTx recipients from 28 centers were identified with 1057 (36.5%) receiving iNO post-HTx. Post-HTx iNO use showed significant increase overall (17.2–54.7%, p < 0.001) and wide variation among centers (9–100%, p < 0.001). Patients with congenital heart disease (aOR 1.4, 95% CI 1.2, 1.6), requiring mechanical ventilation at HTx (aOR 1.3, 95% CI 1.1, 1.6), and pre-transplant iNO (aOR 9.3, 95% CI 5.4, 16) were more likely to receive iNO post-HTx. The median daily cost of iNO was $2617 (IQR $1843–$3646). Patients who required > 5 days of iNO post-HTx demonstrated inferior 1-year post-HTx survival (p < 0.001) and iNO use > 5 days was independently associated with worse post-HTx survival (AHR 1.6, 95% CI 1.2, 2.1; p < 0.001). There is wide variation in iNO use among centers following pediatric HTx with use increasing over time despite significant incremental cost. Prolonged iNO use post-HTx is associated with worse survival, likely serving as a marker of residual illness severity. Further research is needed to define the populations that derive the greatest benefit from this costly therapy. This project was supported through internal funding from the Katherine Dodd Faculty Scholar Program at Vanderbilt University (JG). Research reported in this publication was supported by the National Heart, Lung, and Blood Institute of the National Institutes of Health under Award Number K23HL123938 (Bethesda, MD) (JS). The content is solely the responsibility of the authors and does not necessarily represent the official views of the National Institutes of Health. The data reported here have been supplied by the Minneapolis Medical Research Foundation as the contractor for the SRTR. The interpretation and reporting of these data are the responsibility of the author(s) and in no way should be seen as an official policy of or interpretation by the SRTR or the U.S. Government. 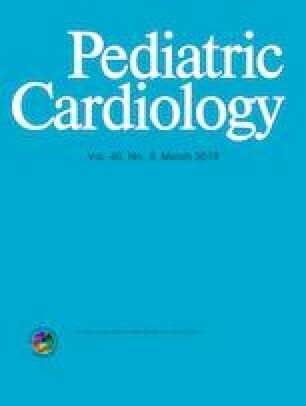 Davies RR, Russo MJ, Mital S, Martens TM, Sorabella RS, Hong KN, Gelijns AC, Moskowitz AJ, Quaegebeur JM, Mosca RS, Chen JM (2008) Predicting survival among high-risk pediatric cardiac transplant recipients: an analysis of the United Network for Organ Sharing database. J Thorac Cardiovasc Surg 135(1):147–155, 155 e141–142. https://doi.org/10.1016/j.jtcvs.2007.09.019.